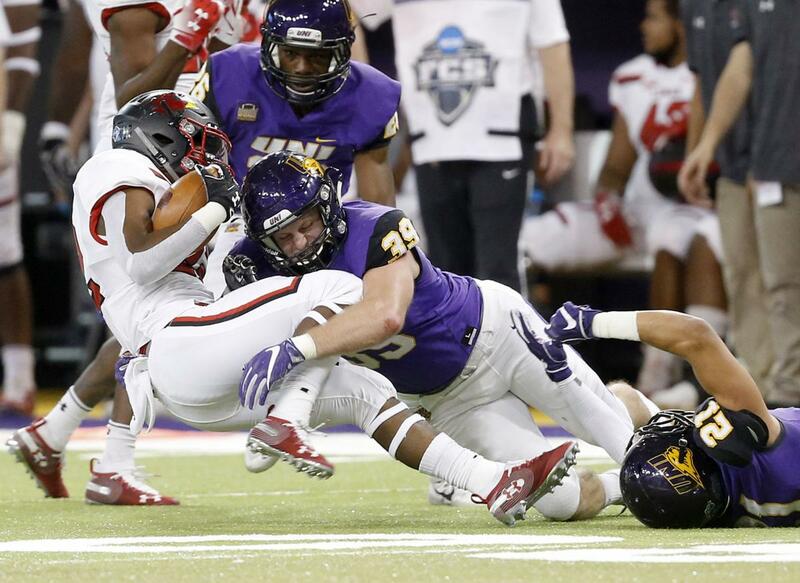 CEDAR FALLS, Iowa – K Austin Errthum booted three field goals, including a 35-yard field goal with 13:09 left in the game that lifted Northern Iowa to a 16-13 Division I FCS first-round playoff win over Lamar. The UNI defense held a couple of other Cardinals attempts in the final quarter. The game winner came after the Panthers (7-5) drove 58 yards in 11 plays. Errthum also connected from 21 and 44 yards in the first half. Lamar (7-5) missed a pair of field goals in the second half. The first, a 44-yard attempt by Elvin Martinez was wide right on another attempt from 36-yards out. QB Eli Dunne wasn’t at his best — 8-for-21 passing for 107 yards and the Panthers’ lone touchdown to Jalen Rima in the first half — but the Panthers’ ground game held things down. RBs Marcus Weymiller and Trevor Allen each rushed for more than 100 yards. Weymiller finished with 128 yards on 29 carries, while Allen had 112 on 18 carries. UNI advances to face sixth-seeded UC-Davis next Saturday, Dec. 1 in Davis, Calif.